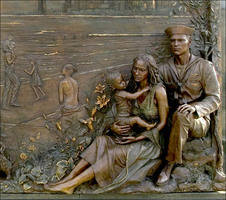 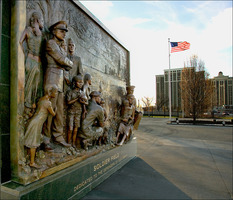 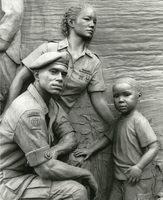 This monument honors the diversity and contributions of America's veterans and their families. 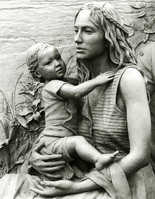 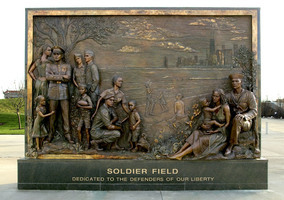 The background of the monument represents Chicago's Lakefront. 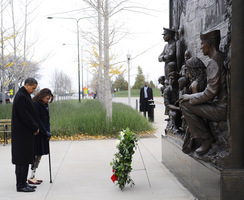 President Obama paid homage to the veterans on Veterans Day in front of the Soldier Field Monument.